COEUR D’ ALENE, Idaho (April 3, 2019) – Billy Chapman Jr has been operating luxury fishing operations throughout Mexico and the Amazon for over 40 years but he always wanted to have a home base in the United States. His goal was to provide stateside sportsmen with the same great opportunities he offers abroad from Anglers Inn International. Through a combination of coincidences, good luck and visiting over 100 properties in the past two years Chapman stumbled upon the Idaho Panhandle and immediately knew he’d found his own Outdoorsman’s Paradise. 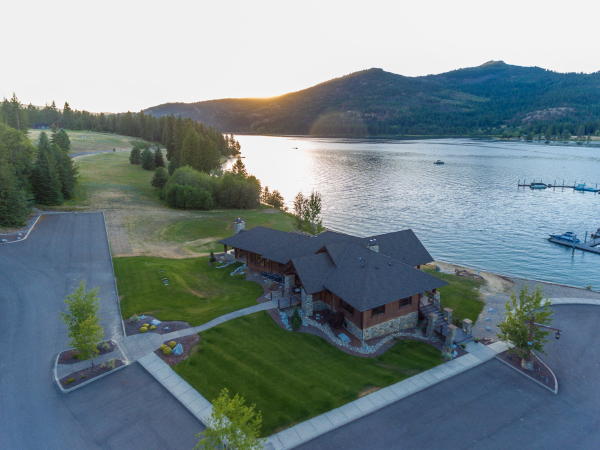 The Willows, a developed community on the banks of the Pend Oreille River with a breathtaking view of the Selkirk Mountains, is Chapman’s new world headquarters.